Being one of the top schools in Bengaluru, we believe education should enlighten young minds, empower them to fulfill their dreams, help them rationalize their thoughts and nourish their souls. 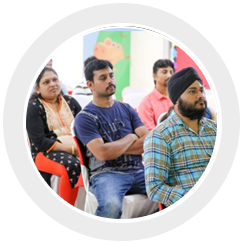 At The HDFC School, Bengaluru, our facilitators use a constructive approach to education with project based learning and hands-on experience as its areas of prime focus. This integrated, collaborative and interactive approach to learning helps students apply their knowledge to real-life situations and contributes to their holistic & overall development. Unlike other schools in Bengaluru, we at The HDFC School, Bengaluru are continuously adding value to our Curriculum and improving our programming in order to enhance the skill sets and all-round development of our students rather than remaining textbook centric. 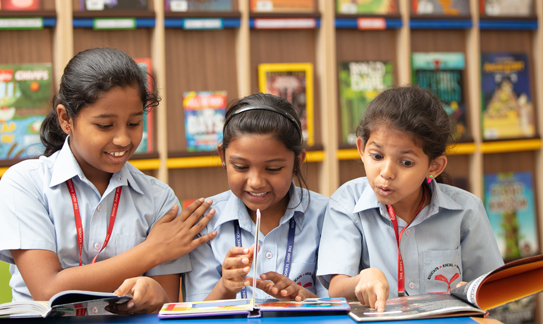 Why choose The HDFC School, Bengaluru? We make learning fun! We are probably one of the only schools in Bengaluru that integrates field-trips, movies, workshops and meeting with authors & experts from different fields into our academic framework. This is because, our curriculum is designed to enhance creativity, collaboration, communication skills and team work, not just focus on academics & examinations; at The HDFC School, Bengaluru, learning is done by asking questions, finding solutions to problems and the through application of ideas. This fun-learning environment helps foster Academic Excellence and Creative Brilliance; but moreover, it cultivates a thirst for knowledge and learning in every student. We also believe that a school is much more than just an academia institute, that’s why we involve our students in a number of community & social welfare activities, even at a young age, and as they move to higher classes, we gradually expose them to more impactful and real social issues. 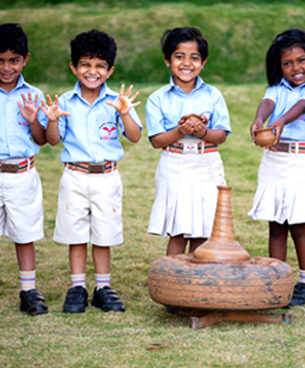 So if you are looking for schools in Bengaluru that will mould your child into more than just a bright student, look no further than the HDFC School Bengaluru; here your child will learn how to become a responsible citizen of the world by contributing to it in many ways. What Curriculum does HDFC's Bengaluru School adopt? At The HDFC School, Bengaluru, we follow the best experiential, inquisitive, yet structured approach to learning through CBSE Curriculum. The ingeniously designed CBSE curriculum at The HDFC School, Bengaluru is in sync with our motto, ‘EDUCATE, EXCEL, EMPOWER’. The lesson plans and processes of The HDFC School, Bengaluru are in sync with the changing needs to create a new class of thinkers that are future ready. Does The HDFC School & other CBSE schools in Bengaluru have a tough curriculum? 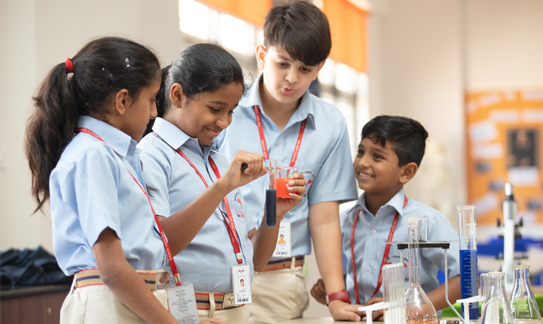 The HDFC School, Bengaluru follows the CBSE curriculum with the best innovative pedagogy and holistic approach aiming to take the students a long way in preparing them to be leaders in the 21st century. And no, the CBSE curriculum at The HDFC School is transacted in a manner which is focused on developing analytical minds and does not appear tough at all. Why should I choose CBSE schools in Bangalore over ICSE or any other curriculum? Well, this is a personal choice a parent makes in deciding the curriculum he would want his child to follow, be it CBSE, ICSE or any other board.